Let's step outside the box today! 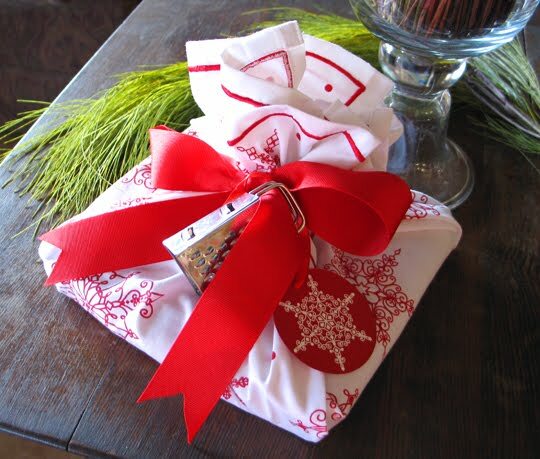 Wrap a Christmas gift in decorator kitchen hand towels! These festive red and white "Jesus is the Gift" linen tea towels come in a set of two. 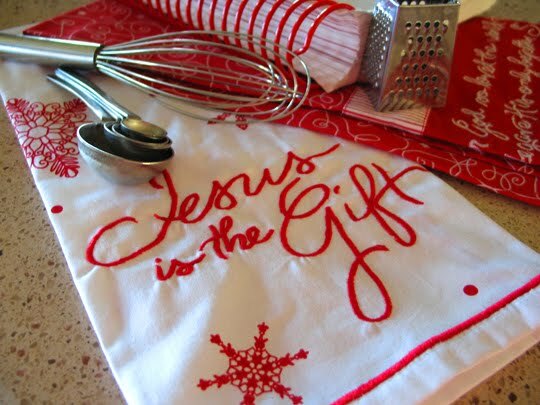 I thought they'd make a great themed gift presentation for a cook - but this idea would work for other themes, too, as everyone needs cute Christmas towels in their kitchen! I used a cookbook gift with a mini-grater accent. A book is a nice, easy item to wrap, and you can always find a fun little tie-in that coordinates with the theme of the book, or whatever the gift may be. The only criteria, really, is that the item to wrap needs to be small enough to fit in the towel(s). 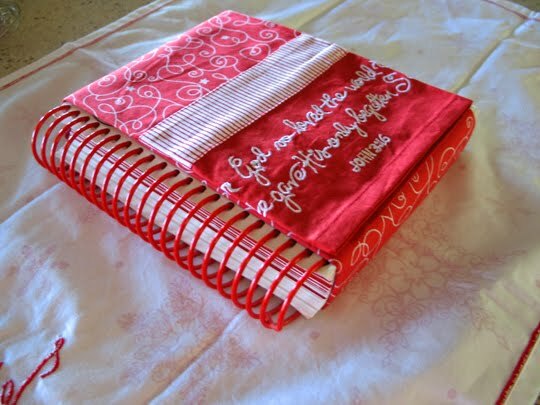 Super easy and looks marvelous! That is a fabulous gift idea & a great way to present it. Thank you! 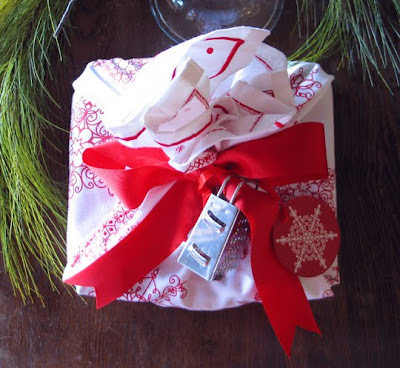 I love it when the wrapping is just as much fun as the gift but I've never tried wrapping the gift in another gift! It looks so pretty! A wonderful idea! What a neat idea! I'm definitely using this for teachers gifts this year, but I might add a few of the dish towels you used to my own wishlist on myregistry.com...they're adorable! Ooh, awesome idea. I love it!! Especially the red and white; gorgeous towels! Such a great idea - love the presentation! What a terrific idea! I must keep this one in mind. Another variation is to wrap a baby gift in a receiving blanket; someone did that for the baby shower of my older son, and I'd completely forgotten until I read this post. Beautiful gift wrapping!! Thank you so much for linking it to Tip Junkie. You rock!